Sri Ramana Maharshi was a radiant example of a jnani, a fully realized being who used to communicate his teachings in the traditional language of Indian lore. 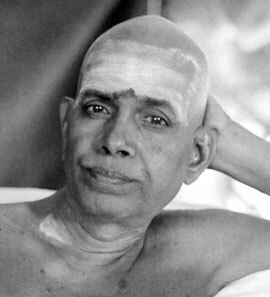 Though he emphasised the practice of self-enquiry as the most direct approach, he nevertheless supported and guided every seeker at his own level of understanding. Because knowledge about the inner process of transformation is timeless, it was unnecessary to change the tradition itself, only to reveal it in a fresh and inspiring manner. That was exactly what Ramana did in the light of his absolute and comprehensive awareness of Truth.